VestGuard is an international manufacturer and supplier of body armour, ballistic helmets, ballistic shields, hard armour plates and other personal protection equipment. Everything on VestGuard.co.uk is available for International Delivery. We can send orders to 130 countries around the world, including North America, Australia, the Middle East and China. Due to the nature of our goods and security reasons, we are unable to accept online orders for delivery to locations outside of the UK. All our products are available to purchase by contacting our sales team directly to discuss your requirements. Contact VestGuard by phone +44 (0)1621 816614 or by mail info@vestguard.com to purchase products for international delivery. Some items may be subject to UK export controls, which will be confirmed by our sales team. VestGuard are able to quote for any international tender for all products on our website. As a manufacturer we are also able to design products to meet a specification or operational requirement for customer orders over 25 units. Payment can be made via Bank Transfer for all international orders. Shipping will take place on receipt of cleared funds into the VestGuard account. VestGuard can operate under International letters of Credit and other payment terms for larger contracts. Q. I have placed an order, how long will it take to come? A. We will always endeavour to ship your goods out as soon as payment has been received via the method of delivery chosen. If any of the items are out of stock we will advice you of the lead-time. Where goods require an Export license, we will ship goods once payment and export approval have been received. Q. Have you supplied to other countries in the past? A. Yes, more than 75% of our sales are shipped out of the UK. We supply to customers all around the world in all sectors, from the individual person, Media organisations, Security forces, Special Ops teams, Diplomatic Missions, to entire armies. We have the ability to produce over 100,000 units of body armour and have done so in the past for a single order. Q. Who can you supply to? A. We can supply to anyone who needs body armour. For international deliveries we are controlled by UK law and must obtain permission prior to shipment from the UK government to export, to ensure our goods do not end up in the wrong hands, or used to suppress human rights. We supply customers including the United Nations, NATO, UNICEF and thousands of other customers and companies. Q. I need some body armour urgently, can you help? A. Yes, we are very quick to react to urgent operational requirements and hold over a thousand units of body armour in stock for same and next day delivery within the UK and Europe. Contact us as soon as you are aware of the urgency to ensure we have the best possible lead-time to assist you. Q. Can you ship to another address other than the registered card holders address? A. 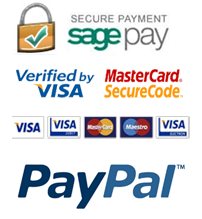 Yes, you can make payment for goods via online bank transfer or over the counter of any bank or building society. Once the funds are registered as received we will proceed to ship your order to any delivery address you request. Q. Can you ship to another country? Q. Are VestGuard products made to international standards? A. Yes, All our products are manufactured to meet international military standards. Our materials are quality controlled, and our ballistic capabilities are regularly tested to ensure they continue to meet and exceed the NIJ (National Institute of Justice) ballistic standards. All our NIJ body armour has also been tested for fragmentation protection for piece of mind, suitable for protection against mines, IEDs and explosions.